People ask me all the time how they can get better at poker. And it really isn't that difficult in 2019 because there are more free tools and resources than ever to get you started. The easiest way to get better at poker is to start playing in the low stakes cash games using a tight and aggressive strategy. You should also spend time reading poker books and enrolling in poker courses as these can help you get better at poker much quicker. 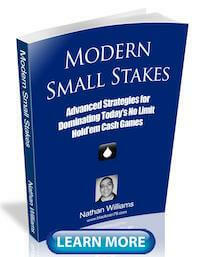 Within 6 months to 1 year this approach will have you confidently beating all small stakes poker games. There is no reason why you shouldn't be able to start turning at least a small profit by the end of this year at the lower stakes online or in your live cash games or tournies. So in this article I am going to break down my top 16 simple yet effective strategies to get better at poker in 2019. The first and most important part of getting better at poker is simply just deciding that you are going to start making this a priority in your life. Because the truth is that improving your poker game is not something that is going to happen overnight. Much like starting a new business you shouldn't expect to start seeing any significant profits for several months at the very least. You need to look at this as a long term investment instead. So you need to get yourself a consistent playing schedule. Even if that means only a couple nights a week after work, you should know exactly when you are playing poker and it should be the same times every week. You should also delegate at least an hour or two a week to off the table studying as well. I will get into how to do that more below. The next thing that you need to do in order to get better at poker is get consistent with the limits and the games that you play. If you currently like to jump around playing cash games one week, tournies the next and playing for $5 one week and $100 the next, you need to stop this. It is much better in poker to be a master of one specific game than a jack of all trades. 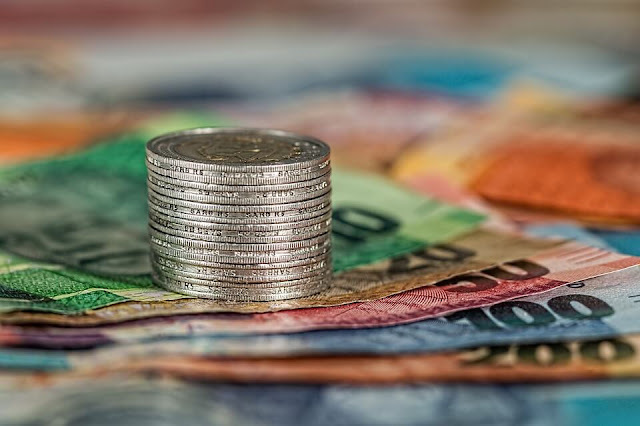 I would suggest starting at the lowest possible limits (remember there is no rush to the top) and to slowly build your way up as your bankroll grows. In cash games online this usually means the $2 games (1/c 2c blinds). And in tournies this means tournaments with a $1-$5 buyin. Your bankroll (the funds that you have to play poker) is like the capital that you have in your business. You wouldn't start a new business with $10 would you? So why would you start your poker career with that? It is incredibly important to exercise proper bankroll management for the games that you are playing in. This means that you should have at least 30 buyins for any cash game (100 buyins for tournaments). I didn't just make these numbers up by the way. There are clear mathematical reasons for why this is the case. Without getting too nerdy here it basically reduces your risk of ruin to a manageable level. So if you decide to play in the $5 cash games for instance (2c/5c blinds), then you should have at least $150 in your bankroll. The bottom line is if you take poker seriously, then you need to get serious about having a proper bankroll as well. What do I mean by a poker "system?" I mean a simple strategy such as TAG (tight and aggressive) that will work well against most opponents in low stakes games. This is the kind of stuff that you should never even have to think about. In other words, these decisions should all be automatic for you. Now there are tons of great free resources out there for this from starting hand sheets to beginner level courses and videos. 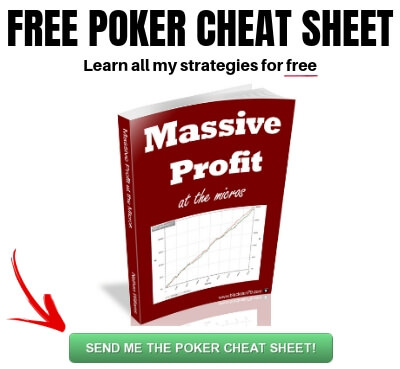 I always just recommend my free poker ebook for this though. 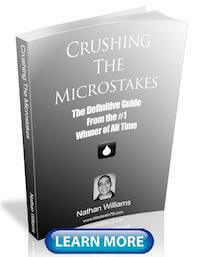 It lays out the entire system for you to start winning quickly at the lower limits. One of the most important things that helped me early on in my poker career was what you are looking at right now, this website. If you go back through the ancient history of this blog you will find meticulous notes on my goals for the month and year, how many hands I played each day and so on. I also developed a small amount of readers who I felt accountable to. When you know that you will not only let yourself down, but others as well, this gives you more reasons to succeed. Start a free blog today on Blogger or Wordpress and just start writing down your goals and tracking your progress. If you want to get more serious with your website, have a custom name, and gain followers even quicker, then you can get a cheap hosting package for as little as $3 a month. Another thing that helped me get better at poker was developing a network of poker friends. And having some sort of blog or way to be found online was a big help in creating that network. When you surround yourself with other people who have similar goals you can build each other up and support each other during the tough times (which absolutely will happen in poker). You can even start your own private Facebook group and discuss hands regularly with each other. Every poker pro I know relies on a small group of friends for support and encouragement. Much like having an automatic poker system in place you should also know your basic poker odds without even having to think about it. And please understand that perfection is not the goal here. In other words you don't need to know that the odds of making your draw are exactly 34.17% or whatever. Somewhere around "1 in 3" is just fine. These are some of the most important ones in my opinion. You should memorize them all. 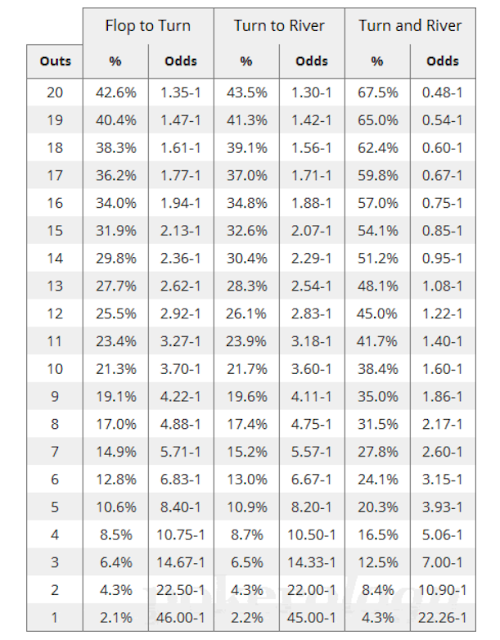 For a full listing of all the poker hand odds I often refer to this list by Pokerology. They do a great job in that article of showing you how to count your outs as well. Print this out, stick it on your wall. Do whatever it takes so that this kinda stuff is ingrained in your mind. You never want to have to waste time thinking about your odds of hitting your flush draw for instance in the heat of the moment. Make sure you already know this kinda stuff by memory! Another basic but often neglected way to improve your poker game is to know the basic math. And once again, this is really easy to do once you get the hang of it. The most important thing to know is how to calculate your pot odds. Now I have already written an in-depth article about poker math before. Step #1 - Take the current pot size and add the bet you are facing to it. 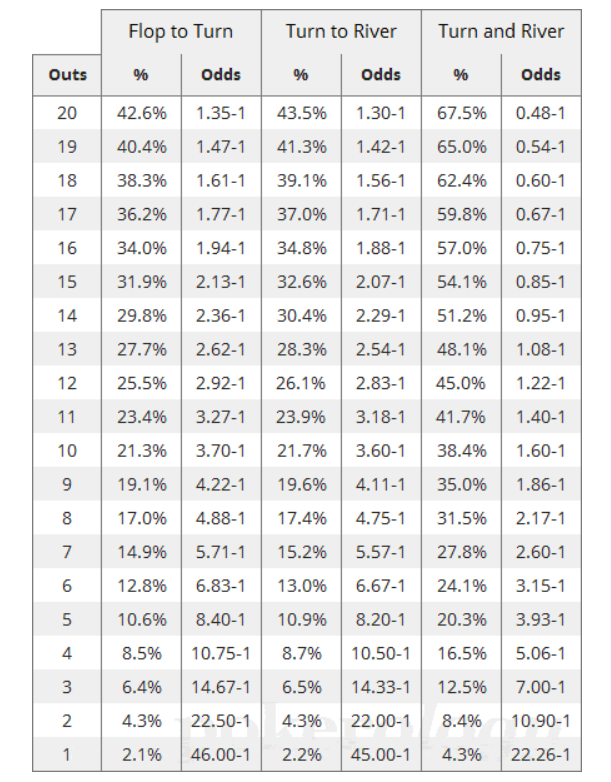 Step #2 - Then divide this number by the current bet you are facing. The pot is $4 and your opponent bets $2. Your pot odds are 3 to 1. The reason why this number is important is because you can then compare it to your poker hand odds (as we just discussed), to determine whether you should call or fold. One of the best ways to get better at poker is just to watch somebody else do it. Youtube and Twitch are probably the two best places to watch pros and amateurs alike play for free. I actually have my own Youtube channel. No updates for quite awhile but I promise I will start making some videos again soon! In the meantime here are some other great Youtube and Twitch channels/streams that I personally use to learn from all the time. Video based poker instruction is getting better and better these days though and so if you really want to dive even deeper and learn from the very best, then poker courses are one of the best investments you can possibly make. They almost always come with a price of course though. Most of the best poker courses these days are coming from Upswing Poker in my opinion. 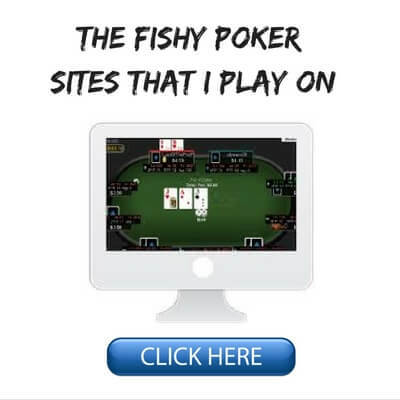 I highly recommend their Poker Lab for example. In fact I recently reviewed it right here. 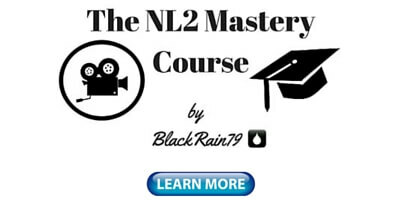 I also recommend their Elite Cash Game Mastery course although this is only for extremely serious and advanced poker players. I also reviewed that right here. Lastly, I myself will be coming out with a comprehensive course for the lower stakes games later this year so look out for that! Poker forums are a good free way to learn and get better at poker. You can post your own hands and get feedback from others. One drawback to poker forums though is that anyone can post on them. This means that sometimes you will get bad advice and they also tend to attract negativity/trolls. However, overall I think there is still a lot more to be gained by participating in forums than the drawbacks. CardsChat - Beginner friendly, good community. I personally post there quite frequently. 2+2 - More advanced poker discussion but has problems with negativity/trolls. LiquidPoker - A long-time personal favorite of mine. High level discussion, lot's of pros. Everybody has a Facebook account these days right? So why not a poker version of this? Well, there actually is one and I post on it all the time. It is called Tiltbook. Tiltbook is a great way to network with other poker players and pros and create that friend group that I talked about above. And don't worry, the discussion on Tiltbook is strictly poker. So you don't need to worry about any political rants, stupid cat videos or ugly baby pics! You can follow me on Tiltbook right here. Poker books are still a great way to get better at poker in 2019 especially for newer players or those struggling at the micros. I have written 3 of them myself so obviously I would recommend those first. 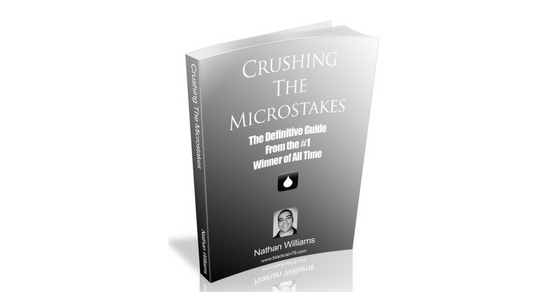 My first book in particular, Crushing the Microstakes, has been been called "the bible of micro stakes poker" and it has helped thousands of people turn their results around now. However, there are tons of other great titles out there these days as well. Just hop on Amazon and search for poker books. Make sure they were written in the last 5-10 years though. Don't read ancient books from the 80's or 90's before online poker even existed. Arguably the very best way to get better at poker in 2019 is to just hire a coach. Now of course this isn't going to be free and you need to make sure that you hire the right one. But there is nothing more beneficial for your game than having a poker pro review your hands and strategy and make custom suggestions just for you. Now people ask me about coaching all the time and I am sorry but I do not coach anymore. I simply do not have the time between playing poker, writing this blog and all the traveling I do. If you can't afford to hire a coach right now then one of the best ways to improve your poker game is just to study your own hands and fix your leaks. This is why I am such a big proponent of using a software tool like PokerTracker. Most people think that the main purpose of these programs is for the HUD. Nothing could actually be further from the truth! 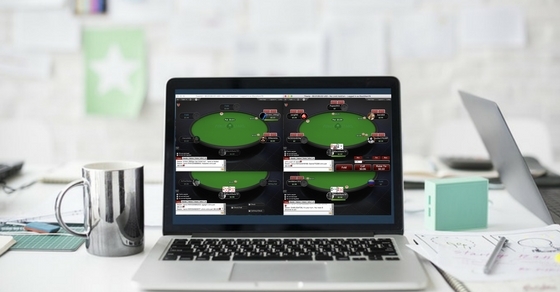 I have spent countless hours in PokerTracker over the years studying my own hands and my opponents to create the strategies that I use to beat these games. I also run filters to find out exactly where I am losing money and how to fix that. 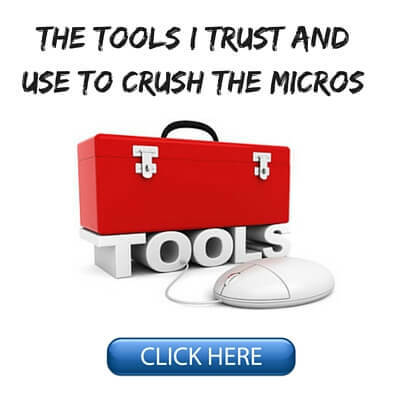 I recently wrote a big long article showing you exactly how to do this. 16. Always Remember Your "Why"
The last strategy that I have for you to get better at poker in 2019 is to always remember your "why." You probably started playing this game for fun am I right? That is why you were first drawn to poker. Well, this is the way that it always should be as well. Most poker pros who I know who grind day in and day out do it because they truly love to get up each day and play some cards. It is when poker starts to get too serious that you start to lose that energy and desire to get better or to even play the game. It is also simply a proven fact that people are more motivated to learn and improve when they truly enjoy what they do. So for me personally when the grind of cash games starts to get to me I play something totally different like tournaments or even a different format altogether like pot limit omaha. 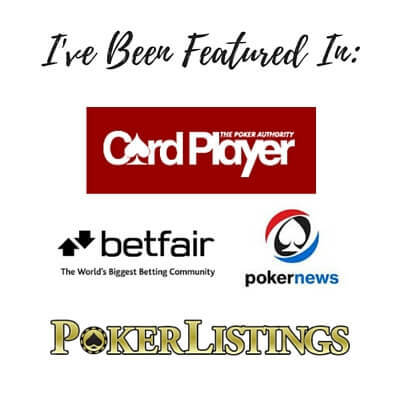 I also write about poker all the time on this blog and elsewhere and enjoy helping others achieve their goals and get better. All of this ensures that poker always remains fun and interesting for me. And that in turn keeps me hungry to learn more and improve both on and off the tables. 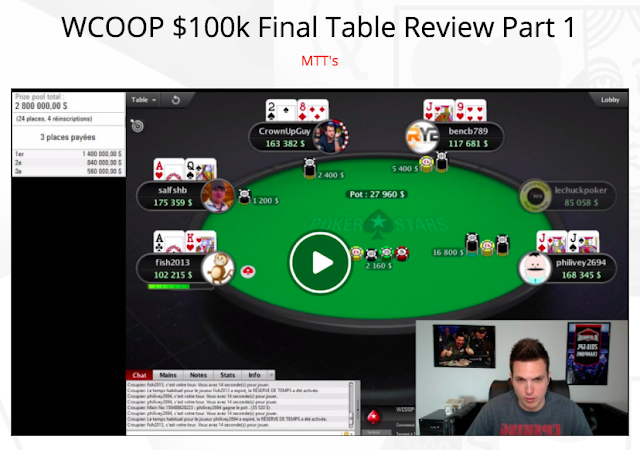 Learning how to get better at poker in 2019 really doesn't need to be that difficult. There are arguably more ways to improve your game than ever these days and many of them are completely free. Firstly, it is important to develop a "system" of play (or baseline strategy) as well as pick the right games to play in and have a proper bankroll. From there you can further your development by watching poker videos, streams, studying poker courses, books or even hiring a coach. You should also develop a strong poker network of friends to help yourself get better at the game and motivate each other during the tough times. Creating your own blog or joining a poker community like Tiltbook are a few great ways to go about that. Lastly, make sure that you always remember your "why" in poker. Don't ever take this game too seriously and you will always remain motivated to play more and improve your game. 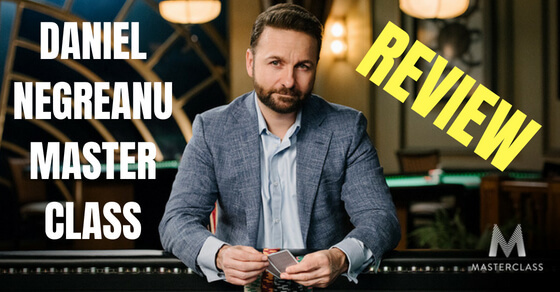 Let me know in the comments below what you think are the best ways to get better at poker in 2019. Hi there can you recommend me a good coach for 5nl/10nl? Sure, there are a few former students of mine (now pros who also coach) that I always recommend. Send me an email. LAG is always going to be a more optimal play style because you give yourself more opportunities to win. However, the large majority of people who read my articles and books are beginners. TAG is a much easier style of play to learn for them and it is still highly effective at the lower stakes as well.